SYDNEY: Former Australia vice-captain David Warner apologised in tears Saturday for his role in a ball-tampering scandal and said he would weigh up an appeal against his 12-month ban. 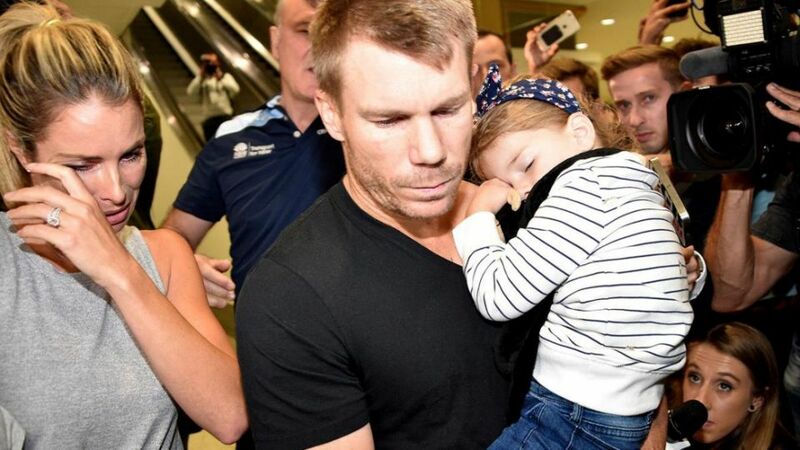 An emotional Warner said he realised he may never play for his country again. But he stonewalled questions about who was aware of the ball-tampering and whether it was the first such incident within the team. Captain Steve Smith and Warner were banned from international and domestic cricket for a year over the incident, while opening batsman Cameron Bancroft was suspended for nine months. Coach Darren Lehmann also quit following one of the most damaging scandals to ever to hit Australian cricket. Bancroft was caught on camera trying to use yellow sandpaper to alter the the ball in the third Test against South Africa in Cape Town. But Warner was charged by Cricket Australia with developing the plot and telling Bancroft to carry it out.